Let it be said that you can simplify your metabolic stress testing system without compromising accuracy. Then let the Ultima CPX™ metabolic stress testing system show you how. It provides true breath-by-breath metabolic analysis for complete assessment of a patient’s functional capacity and cardiorespiratory system. Because it interfaces with external devices, it offers flexible monitoring and testing. Automatic gas calibration provides fast patient thoroughput, which your patients will appreciate. If you need additional testing capabilities, the Ultima CPX delivers with indirect Fick cardiac output and spirometry as well as an array of optional software. The fully adjustable desktop allows for maximum testing comfort for the technician and patient. Easy calibration process requires only one flow calibration per day and one automated gas calibration before each test. 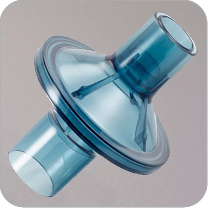 preVent® flow sensor can be cleaned or discarded between patients yet meets all ATS/ERS requirements for accuracy. preVent® face mask are comfortable and lightweight. Ease of use allows operator to focus on patient.